Have you been wondering what our well known and beloved Dave "The Paddle Pilgrim" Ellingson has been doing in retirement? 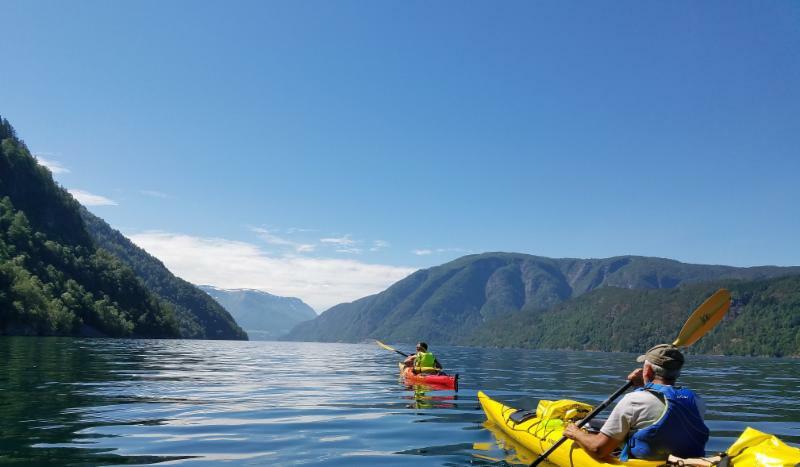 Well, he just returned from kayaking his ancestral Sogne and Hardanger Fjords in Norway. As you may know a passion of Dave's is to explore the world by kayak, to meet the people and enjoy the cultures along the way. 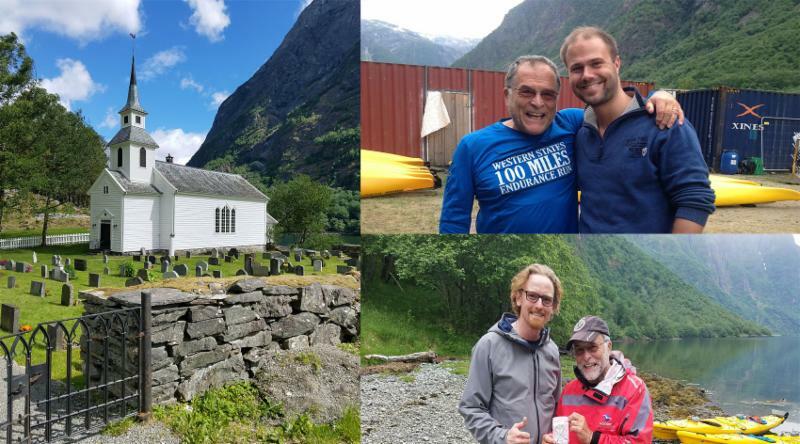 From his most recent trip a book will soon be published to complete a trinity of adventures paddling the Mississippi River and the Erie Canal, the Hudson River to the Statue of Liberty, and now Norway. These three books, along with the just published, Say What: A Fresh Look at Old Sayings have been kept him busy in his early retirement years! Dave has had such a great impact on so many at Trinity Lutheran College, and well beyond the college. He is a person with deep passion and convictions that have led him in life, and in his teaching and ministry. The TEF is pleased to be able to honor Dave and his passions with a newly endowed scholarship in his name! Says Dave, "I am excited and honored at the launch of a scholarship in my name, which will assist young people to pursue higher education calls in social justice and environmental studies. During my 40 plus years as a campus and parish pastor, regional administrator and teaching at Trinity Lutheran College, these were my two favorite subjects to teach. They also give focus and direction to my 3 rd Chapter (retirement). On behalf of the high school students who will receive scholarships through the Trinity Education Foundation, thank you for your generous support!" You'll read more about The TEF Dave Ellingson Scholarship fund and how you can support it financially in our coming e-news and the newsletter we'll mail in later November. We hope you'll join us to honor Dave and help future college students follow their passion. Support the Dave Ellingson Scholarship! The TSP is the new, long-term "flagship" program of the Foundation. Reflecting the spirit of LBI-Seattle and Trinity Lutheran College, the Trinity Scholars Program will help students understand their God-given design, and to pursue their life work with a sense of service to others. We have been thankful to be able to support many students who were undergrads when TLC closed in 2016 with scholarships in the last academic year and the year that has just started. The 2018-19 year will complete the two-year commitment the TEF made to this program and sets the stage for the Trinity Scholars Program launch. The 21 students receiving scholarships this year will benefit as being the "test" group for the TSP before it launches in the 2019-20 academic year. Beginning in the 2019-20 students who are selected to participate in the TSP will come from a first-generation college background and/or from a high financial need situation. They will be attending any Christian college or university in the northwest states (WA, OR, ID, or MT). Up to $10,000 in need-based funding per year, for four years. Professional coaching throughout their four years of college. Each scholar is given the Core Values Index (CVI) assessment, which helps them understand the innate nature that God created her or him with. The CVI is then used by our coaches to help each student think through classes they take, their major(s), and input into career decisions based on who they are. Along with financial support, this type of engagement has shown to be the #1 reason that graduates say they stay in school and have success in college. 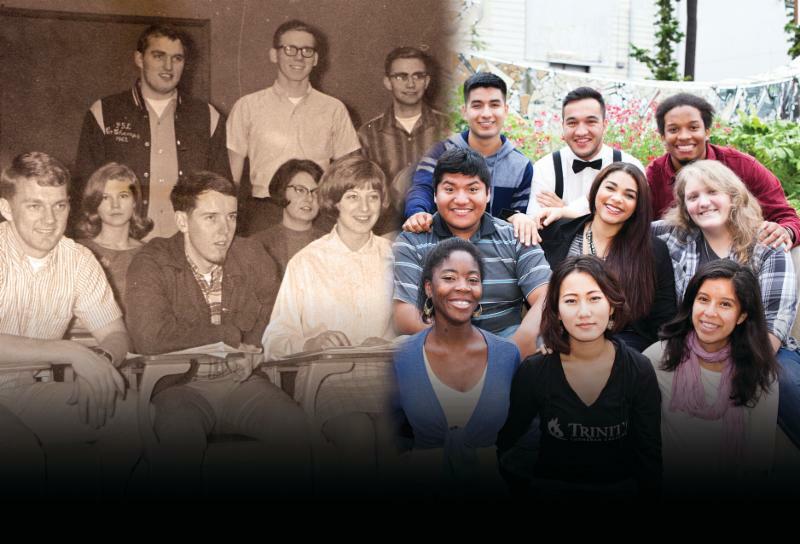 Working with many colleges and experienced professionals to create this, we at the TEF are very excited to offer the Trinity Scholars Program to many eager students in the years to come! You’ll also read more about this in coming e-news and direct mail newsletters. We would appreciate your support of this long-term, high impact program! Former Trinity Lutheran College alumnus, Katie Stabler, lives in Roseville, California and serves as Director of Youth and Care Ministries at Ascension Lutheran. Katie says, “Working in the field while attending Seminary has been a blessing. It allows me to put my learning into real life application.” When Katie isn’t making hospital visits, leading theology groups, preaching, visiting families in grief, managing youth and teen ministries, she is raising four active children ages 4 to 12 years old. Katie’s children Makayla, Addison, Logan, and Andrew keep life busy. 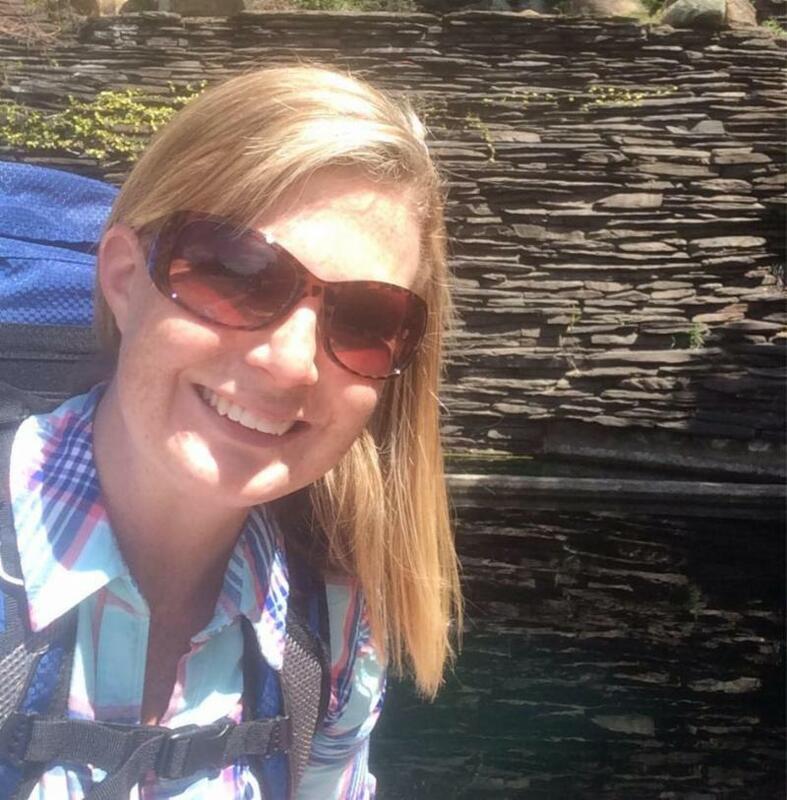 In Katie’s extra time she coaches her kids’ soccer team, runs 5Ks, and explores hiking trails around the Bay area. Katie began her education at Trinity Lutheran College from 2002-2004 and then transferred to William Jessup to complete a degree in Church Leadership. Although, she has worked in the ministry for many years she resisted the call to enter seminary. It was through the support of her church, friends, and family that Katie came to accept this call. “When I gave in to God’s calling I felt a peace that I had never experienced in my adult life.” Katie’s community of support came together to help her achieve her goals. Her mom moved in to help with Katie's family at home and her church family rallied around her. For Katie the Trinity Education Foundation Scholarship was the final piece to make her seminary pursuit possible. “Although, much of my studies are done online, Seminary has required me to travel to the Lutheran United Seminary Campus in Pennsylvania for training. 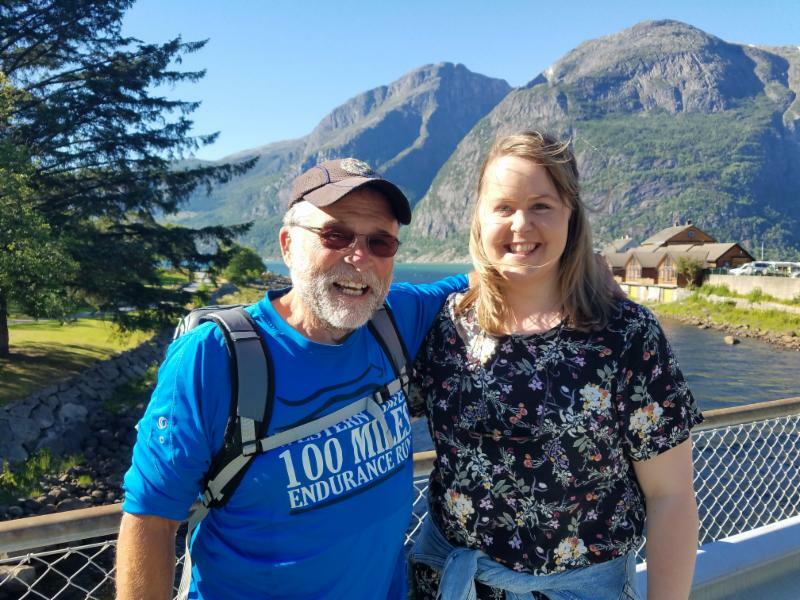 My Trinity Education Foundation Scholarship has made this travel possible for me financially.” Katie will complete her Master of Divinity at Lutheran United Seminary in 2019. Are you a TLC/LBI alum? We are looking for a Volunteer Alumni Coordinator to assist with communications and event planning for alumni. If you think you might be interested, please contact us at 425.249.4800 or info@tef-lbi.org .